Pop Culture Lunch Box: Do you see yourself as a Patagonia or Prada person? Do you see yourself as a Patagonia or Prada person? A brand is really only an idea. Strictly speaking, a brand doesn't even exist. That said, a brand is much more than just a logo or TV ads. 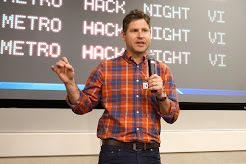 If your airplanes fall out of the air all the time, that's what defines you, not your social media or those other things. 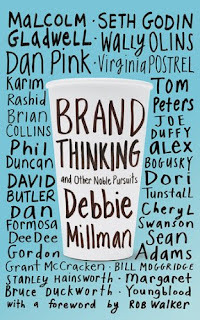 Brand Thinking and Other Noble Pursuits is a book featuring conversations with marketing and communications leaders, and what it mostly boils down to is that brands exist in each person's mind whoninteracts with them. The word brand originates from long, long ago. Ancient Egyptians branded their livestock with fire. But the phrase is much older than that even. The kind of mass-market branding we think of today really originated with the UK's trademark registration act in 1874 and now, a little more than a century later, there are more than 100 brands of bottle water alone. 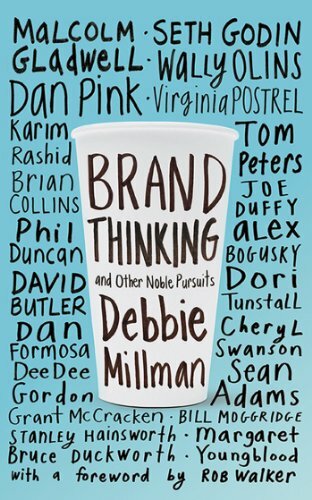 While people like Naomi Klein in her legendary No Logo book may consider this a good or bad thing, Brand Thinking's interviewer/author Debbie Millman is most interested in asking why we behave this way, why we split into tribes who choose one water over another, and why we proclaim our various allegiances. Whether we see ourselves as a Patagonia person or a Prada one is entwined in all sorts of cultural, economic, spiritual, and even mysterious processes. Stay tuned as I dig through this book and dig into some of the most interesting ideas.